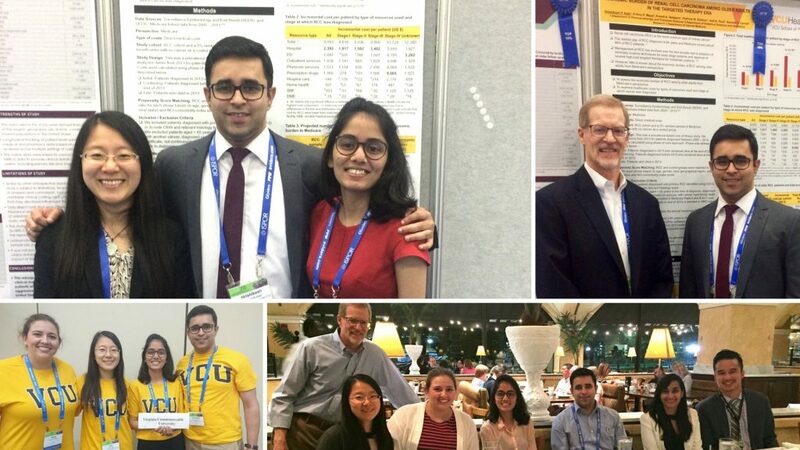 Clockwise from top left: Students Yiran Zhang, Hrishikesh Kale and Purva Parab presented posters; adviser Norman Carroll and Kale with the winning poster; Carroll and students Zhang, Elena Fernandez, Parab, Kale, Batul Electricwala and Tim Inocencio at an alumni dinner; the VCU-ISPOR Team at the student research-quiz competition. Hrishikesh Kale, a fourth-year Ph.D. candidate in the VCU School of Pharmacy, received the Best Student Poster Research Presentation Award at the recent conference of the International Society for Pharmacoeconomics and Outcomes Research. The top 10 percent of posters out of 1,600 submitted were considered for the award this year; three including Kale received the award. Kale won for his poster, “Economic Burden of Renal Cell Carcinoma among Older Adults in the Targeted Therapy Era.” His adviser is Dr. Norman Carroll. Other VCU School of Pharmacy students presenting posters at the conference include second-year master’s student Purva Parab (“Patterns of Use and Quality of Life Associated with the Utilization of Antidepressants amongst Cancer Patients with Depression”), whose adviser is Dr. Pramit Nadpara; and Yiran Zhang (“Transplanting Kidneys from HCV Positive Donors Into HCV Negative Recipients in the Era of Direct Acting Antiviral Therapy: A Cost Effectiveness Analysis”), a second-year VCU-Indivior fellow currently working with Carroll. The VCU-ISPOR team included Kale, Parab, Zhang and Ph.D. student Elena Fernandez. VCU-ISPOR students chapter also hosted a VCU alumni dinner at the conference. Parab, the president of VCU-ISPOR chapter, received funding for the alumni dinner from the VCU development office. In mid-March, VCU School of Pharmacy alumni Bill Nicholson and Keith Kittinger (both B.S. ’72) took a trip down memory lane, visiting John Andrako at his home in Midlothian, Va. Kittinger is vice president of Bremo Pharmacy and pharmacist and manager for Bremo Long Term Care Pharmacy, and Nicholson retired as pharmacy manager for the Virginia Department of Corrections. Andrako, who formerly served on the School of Pharmacy’s pharmaceutical chemistry (now medicinal chemistry) faculty and as assistant dean of the school, retired in 1991 as VCU’s interim vice president for health sciences. Nicholson and Kittinger also knew Andrako through Kappa Psi fraternity, as Andrako was a Kappa Psi brother at Rutgers. Andrako also shared his history of growing up in New Jersey, attending Rutgers, where he graduated from the College of Pharmacy (now known as the Ernest Mario School of Pharmacy) and earned his master’s degree in medicinal chemistry. He later attended the University of North Carolina at Chapel Hill, where he got his Ph.D. in medicinal chemistry. 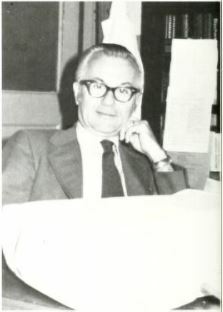 He joined the MCV School of Pharmacy faculty in 1956. VCU School of Pharmacy fourth-year Pharm.D. student Erin Hickey is one of 11 students nationwide to be recognized with the American Society of Health-System Pharmacists 2017 Student Leadership Award. Students who receive the award are selected for their achievements in campus and pharmacy practice leadership, including professional work experience, internships and other accomplishments. Hickey is part of ASHP’s Career Development and Education Advisory Group. 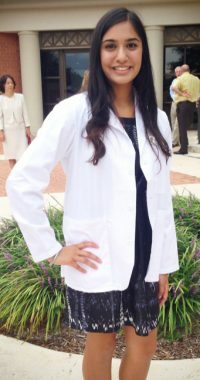 At the School of Pharmacy, her activities have included serving as president of the Student Chapter of the Virginia Society of Health-System Pharmacists and as student vice chair of the VSHP Mentoring Program for the state. She is a member of the Beta Nu chapter of Phi Lambda Sigma pharmacy leadership society and the Lambda chapter of the Rho Chi academic honor society in pharmacy. 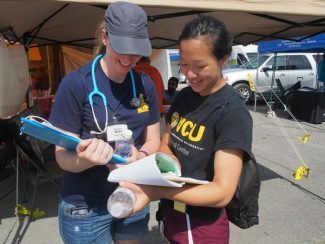 She has participated in the school’s Student Pharmacist Policy and Advocacy Forum and has worked with the Remote Area Medical event in Wise County, Va.
An inpatient pharmacy intern for the VCU Health System, Hickey served as a PCAT course instructor and pharmacy lab teaching assistant for the university’s Summer Academic Enrichment Program (of which she is an alumna). She has conducted research, during her tenure at the school, on the perception of pharmacy practice with Ron Ballentine and Erika Dumke (formerly of the VCU Division for Health Sciences Diversity), and in bone marrow transplantation with Kelly Hawks. Following graduation, Hickey will enter a PGY1 residency at University of Kentucky Healthcare in Lexington. Sponsored by ASHP and the ASHP Research and Education Foundation, the Student Leadership Award honors student members in their second through fourth years of pharmacy school. The award winners receive a plaque, an ASHP drug information reference library and a $2,000 cash award. The other winners are students at Albany College of Pharmacy and Health Sciences — Albany Campus, Medical University of South Carolina College of Pharmacy, Northeast Ohio Medical University, The Ohio State University College of Pharmacy (two), Temple University School of Pharmacy, University of California, San Diego Skaggs School of Pharmacy and Pharmaceutical Sciences, University of Colorado Skaggs School of Pharmacy and Pharmaceutical Sciences, University of Mississippi School of Pharmacy and Western University of Health Sciences. For more information about the ASHP Student Leadership Award, click here. To learn more about the ASHP Pharmacy Student Forum, click here. Thanks to fourth-year Pharm.D. student Kalyann Kauv for providing a look at an executive residency program for Pharm.D. graduates, in this case at the National Community Pharmacists Association. She wrote this piece as part of her managed care rotation earlier this year. Kalyann Kauv (second from left), VCU School of Pharmacy class of 2017, visiting NCPA offices in Washington. The National Community Pharmacists Association, previously known as the National Association of Retail Druggists, was founded in 1898 and currently represents 22,000 independent pharmacies nationwide. These pharmacies dispense almost 50 percent of the nation’s retail prescription medications. As an organization, the NCPA is committed to independent pharmacies to provide the resources a pharmacist needs to own a successful pharmacy and to provide ideas for growth and innovation in the field. Education and training programs are available to help independent pharmacy owners succeed, but that isn’t all. NCPA plays an active role in policy and advocacy efforts supporting legislations that benefit pharmacy owners and promote pharmacy provider status. With an office located minutes away from Washington, D.C., it is well-positioned to stay involved. NCPA invited me to its 2017 Congressional Pharmacy Fly-In, which takes place April 26-27, to learn more about the advocacy process. A nontraditional executive residency program at NCPA provides training for a lasting career in association management or independent pharmacy. I met with the current resident, Alexander Tu, who earned his Pharm.D. at Belmont University College of Pharmacy. He spends most of his time in the NCPA Innovation Center, where independent pharmacists seek consultation to determine how to implement new clinical services (pharmacogenomics, smoking cessation, HIV, etc.) within their pharmacies. The Innovation Center is also the “go-to” resource for pharmacists in all phases of ownership process. Tu mentioned that the residency program provides a good work-life balance and networking opportunities to meet with other local executive residents (PQA, NACDS, APhA). His favorite part of the day is going into the office knowing there is always a new and exciting project to work on. NCPA provides a lot of unique opportunities for students to get involved at the national level, such as competing in its Business Plan Competition, the first national competition of its kind in the pharmacy profession, as well as leadership opportunities, local chapter involvement and a student newsletter. Students who are interested in learning more about innovation and evolution in community pharmacy have the opportunity to complete an association managment rotation at the NCPA headquarters. The best time for the rotation is in July, when the NCPA resident and other local executive residents begin their training and tour the different organizations to get exposed to the pharmacy landscape (which students are also invited to attend). “The purpose of the NCPA rotation is to provide students with an experience that demonstrates the importance of a national pharmacy association to the profession, as well as provide students with the opportunity to become aware of the vast amount of opportunities that exist in independent pharmacy practice. “During our time here at NCPA, we as students are given a host of projects that include writing articles, providing tips to NCPA members and business owners, and conducting NCPA employee interviews. Each of these assignments gives us the opportunity to learn more about the organization, be hands-on and contribute to the many projects that they are tackling, and allows us to get to know the people that we see and interact with every day. Through the interviews themselves, I have personally gotten so many invaluable life and professional tips and advice that I might not have gotten elsewhere. “We also get plenty of opportunities to sit in on a few of the numerous meetings that take place during the day. During these meetings, we get to see a side of pharmacy that we do not get taught in school. We learn about the issues associations handle on our behalf every day and get to listen in on the potential solutions. There’s a huge learning opportunity concerning things that can have a direct impact on our careers as pharmacists. We get to see how participation with pharmacy associations can keep us informed and give us a voice. “I’ve realized while being here that the importance of associations and the vast amount of work that they do wasn’t stressed enough in school. I think that a rotation like this can open a lot of eyes and also get more people to truly become active in their profession. NCPA in particular can also expose people to a world of independent pharmacy that people are often unaware of. I think many people have the idea that independent pharmacy is phasing away as a career option, and being here will show you that is surely not the case! You can contact Cierra Goodwin at cierrago@pcom.edu. 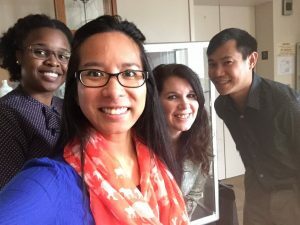 I would like to thank her for taking the time out to share her experiences, and I am impressed with the initiative she took to make her rotation experiences unique and to see different aspects of the profession. I feel fortunate to have not only interviewed the NCPA resident but also to visit NCPA’s business office, meet the director of student and professional affairs and committees, and learn more about the organization. I have always had the opinion that working in the independent pharmacy field can be challenging from the business aspect — figuring out how to run a business and make a profit — but it was made clear that NCPA walks pharmacists throughout that process to make it less daunting. It clears the gate so that pharmacists have the autonomy to develop innovative clinical pharmacy services to serve their patients and community. Learn more about NCPA’s executive residency program. Kalyann Kauv, 2015-16 president of the VCU School of Pharmacy chapter of the Student National Pharmaceutical Association, was on campus today to speak at SNPhA’s final general body meeting of the year. VCU School of Pharmacy third-year Pharm.D. student Chelsey Llayton reports that 64 students applied to participate in the three domestic outreach events taking place this year. 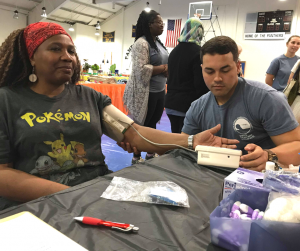 That includes a brand-new opportunity: A Remote Area Medical mission will take place for the first time in Emporia, Va., while the Wise County, Va., RAM moves into its 11th year. 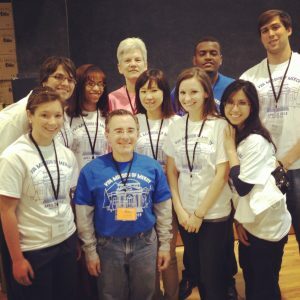 2013 Mission of Mercy in Charlottesville, Va.
“The application committee was very impressed by the many talented students who are committed to serving the community,” Llayton says. Each event is designed to provide care for Virginia’s underserved populations. And students are able to experience invaluable hands-on interactions with patients in an interprofessional environment. Teams were selected via a blinded process by student leaders of each trip along with faculty Evan Sisson, John Bucheit and Emily Peron and PGY2 residents Estela Lajthia (CrossOver Healthcare Ministry) and Eric Parod (Center for Healthy Hearts). Training meetings throughout the spring fill participants in on what to expect. Students who did not receive their first choice this year are encouraged to apply again for 2018! Anesa Hughes (student leader), Gihun Kim (student co-leader), Precious Dadzie (P3), Robert D’Eramo (P4), Gurpreet Dulai (P3), Taylor Ferguson (P1), Amanda Johnson (P3), David Lee (P2), Tiffany Lee (P3), Caitlyn Moody (P2), Kayla Sheets (P2), Emily Sterling (P3), Joshua Thai (P2), Jany Wu (P1) and Tammy Yu (P2). 2016 Remote Area Medical in Wise County, Va.
Kailey Conner (student leader), Yvonne Zhang (student leader), Heather Rucker (student co-leader), Frances Beckett-Ansa (P2), Goldie Chang (P3), Lauren Cooper (P1), Cameron Czech (P2), Meghan Gill (P2), Emily Harmon (P2), Laura Hsu (P2), Lily Jia (P3), Francine Kim (P1), Phuong Opper (P3), Jessica Roller (P2), Riley Scalzo (P2), Hannah Sharpe (P2) and Leighton Thumm (P1). Chelsey Llayton (student leader), Cara Vu (student co-leader), Derek Abel (P3), Mary Beth Bryant (P1), Parker Campanella (P2), Wylie Crane (P1), Stephani Halloran (P2), Danielle Hess (P1), Caroline Jones (P2), Jenna Pham (P2), Archie Raghavan (P3), Nicholas Rebold (P3), Jessica Reid (P3), Stephanie Seto (P2) and Jen Walters (P3). Thanks to Kalyann Kauv for providing the following report on a Pharmacy Diversion Awareness Conference sponsored by the U.S. Drug Enforcement Administration in November. The DEA began offering these conferences five years ago to educate pharmacists, pharmacy technicians and pharmacy loss personnel nationwide on the identification and prevention of diversion activity. Drug diversion: a medical and legal concept involving the transfer of any legally prescribed controlled substance from the individual for whom it was prescribed to another person for any illicit use. The term comes from the “diverting” of the drugs from their original medical purpose. Drug diversion contributes to abuse, overdose and death – and drug overdose deaths tripled between 1999 and 2014. Bringing it closer to home, Virginia State Health Commissioner Marissa Levine recently declared Virginia’s opioid abuse crisis a Public Health Emergency to bring more awareness to the issue. Levine also released a “Virginia Statewide Standing Order for Naloxone,” authorizing pharmacists to dispense the anti-overdose drug following the Virginia Board of Pharmacy-approved protocol. In an ongoing effort to enhance the collaboration between public health and law enforcement, the DEA’s Pharmacy Diversion Awareness Conferences focus on the growing issue of diversion of pharmaceutical controlled substances. Discussion includes the ways pharmacists can assist in identifying and preventing diversion. 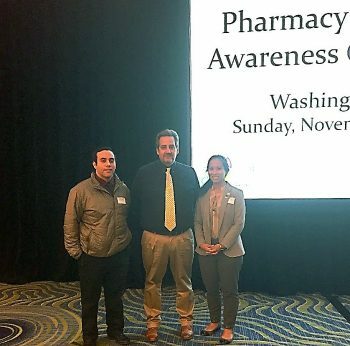 Hundreds of pharmacists from institutional and community settings, hailing from the Greater D.C., Maryland, and Virginia areas, attended the Nov. 19-20 PDAC sessions in Arlington, Va. The presentation included a 45-minute documentary, “Chasing the Dragon: The Life of an Opiate Addict,” which followed recovering addicts and the family members who were affected by their substance abuse addictions, including how addiction permanently altered their lives. This documentary was produced by the FBI and DEA. A common misconception is that opioid abuse is something that takes place illegally on the streets away from our homes. In fact, most opioid addiction begins in a provider’s office and as a prescription. Patients commonly store leftover medications from previous health conditions as a precaution in case they will need them again in future. This increases the opportunity for family members or friends to divert medications and for expired medications to become potentially dangerous. Initiatives such as the DEA’s National Prescription Drug Take-Back Day, now in its 11th year, have encouraged the public to drop off unused or expired medication for safe disposal at collection sites around the country. This year’s Take Back Day collected 447 tons of unused medications. The more health care professionals respect medicine, the more they will treat their patients with respect, recognizing the vast difference prescriptions can make. In the efforts toward promoting public health safety, pharmacists are now, more than ever, in a unique position to serve as vital partners with the DEA in providing information about drug diversion. Pharmacists are the last line in ensuring the proper indication and dosage of prescriptions. Because of this, the DEA continues to request that pharmacists get involved, stay involved and ensure that their colleagues are doing the same. They can contact the DEA to report suspicious activity and to find more resources and education on the Drug Diversion Task Force. Bill Winsley, a retired pharmacist and former Ohio Board of Pharmacy member and past-president of the National Association of Boards of Pharmacy, reinforced the significant contributions a pharmacist can make toward the opioid epidemic. He provided multiple narratives as a practicing community pharmacist. In one case, he assisted the DEA in uncovering a provider misusing opioid prescribing in Ohio, noting the extensive harm the provider caused the public in the interest of financial gain. The pharmacist’s ability to understand and discern the difference between appropriate and inappropriate prescribing of opioids, anti-anxiety and muscle relaxant medications is an important skill, highlighting the necessity of being attentive and alert to red flags. Caroline Juran, a 1995 alumna of the VCU School of Pharmacy, has served on the Virginia Board of Pharmacy for 11 years, the past six years as executive director. She provided updates, including highlights from the efforts made by Virginia Governor’s Task Force on Prescription Drug and Heroin Abuse, reviewing pharmacy-related bills passed by the 2015 General Assembly and noting new continuous quality improvement requirements. As a future pharmacist, this conference provided me an invaluable opportunity to hear from the perspective of the DEA’s office, pharmacists and the Board of Pharmacy. Through collaboration and communication, our expertise can be combined to tackle opioid abuse. Focusing on the epidemic as a whole can be seen as an immense task to overcome, but through collaboration, awareness and daily due diligence, each person can make a difference and protect people from harm. Before this conference, it was unclear to me how I could make an impact or the significant role the pharmacy profession can have. Now I feel better informed and clearer as to how to stay connected with our partners in these efforts. Kalyann Kauv is a fourth-year Pharm.D. student at VCU School of Pharmacy. She is national public relations liaison for the Student National Pharmaceutical Association, former president of the VCU chapter of SNPhA and a member of Phi Lambda Sigma and Phi Delta Chi. She can be reached at kauvk@vcu.edu. Third-year VCU School of Pharmacy student Jatinder Singh has been named one of 12 Pharm.D. students nationwide to receive a 2016 EPIC Pharmacies Student Grant Award. EPIC Pharmacies Inc., a national network of more than 1,400 independently owned pharmacies, annually awards $1,000 grants to students who plan to practice in an independent pharmacy upon graduation. “We are excited to support the next generation of independent pharmacists,” said EPIC Pharmacies CEO Jay Romero. 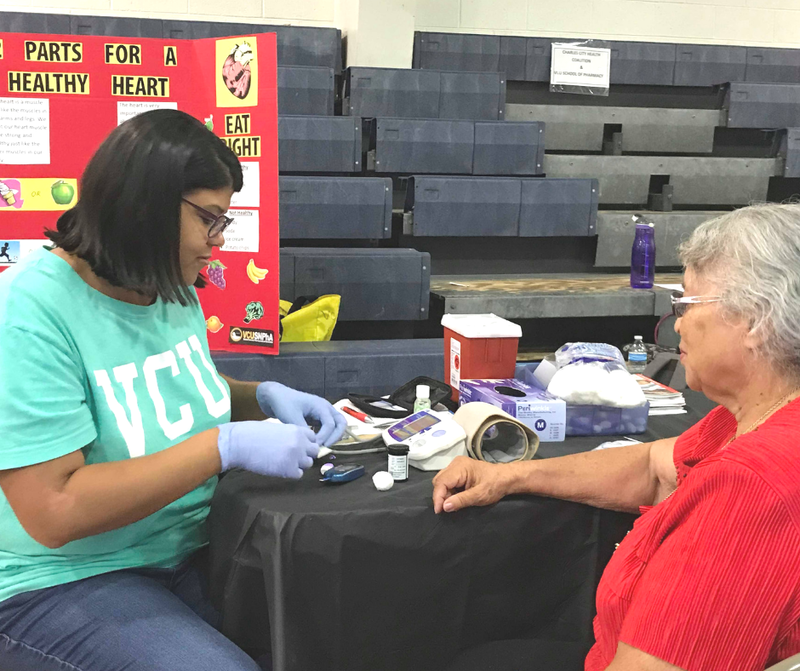 Singh is vice president of VCU School of Pharmacy’s chapter of the Student Association of Community Pharmacists, an organization that focuses on community and independent pharmacy practice. She also is a member of the Tau chapter of Kappa Epsilon and is an intern with VCU Health. The remaining awards were made to students representing Florida A&M University College of Pharmacy and Pharmaceutical Sciences, Purdue College of Pharmacy, South University School of Pharmacy, Temple University School of Pharmacy, University of Arkansas for Medical Sciences College of Pharmacy, University of Louisiana Monroe School of Pharmacy, University of Maryland School of Pharmacy, University of Mississippi School of Pharmacy, University of South Carolina College of Pharmacy and West Virginia University School of Pharmacy. Applications for the 2017 program will be available Jan. 1 at any EPIC Pharmacy. Julie Patterson, a Pharm.D./Ph.D. student at VCU School of Pharmacy, has been selected as a 2016 Express Scripts Scholar by the American Association of Colleges of Pharmacy. Patterson is one of four dual-degree students nationwide to receive the $10,000 scholarship funded by the Express Scripts Foundation. Express Scripts Scholars are chosen based on their career statements and goals, evidence of professional involvement and their resumes. 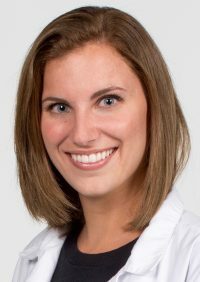 After earning her bachelor of science degree in interdisciplinary studies/cultural epidemiology at the University of Richmond, Patterson enrolled as a Pharm.D. student at VCU in 2011. In 2012, following completion of a School of Pharmacy Summer Research Fellowship, she enrolled in the combined Pharm.D./Ph.D. program in pharmacoeconomics and health outcomes. Her goal in doing so was to gain the skills and perspectives necessary to merge her clinical understanding of patient care with her interests in data analysis, economics and marketing. As a current graduate student working with adviser David Holdford, she looks forward to using her interdisciplinary experiences to conduct population-based research that can help improve the quality and cost-effectiveness of drug therapy. She has had five peer-reviewed publications in the areas of pharmacoeconomics, pharmacoepidemiology and clinical pharmacy. 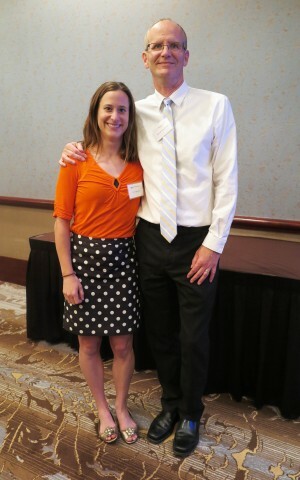 Earlier this year – during the International Society for Pharmacoeconomics and Outcomes Research 21st International Meeting — Patterson received a PhRMA (Pharmaceutical Research and Manufacturers) Foundation predoctoral fellowship award in the category of health outcomes. Last year, she was awarded the Rho Chi-AFPE First Year Graduate Fellowship by the American Pharmacists Association. 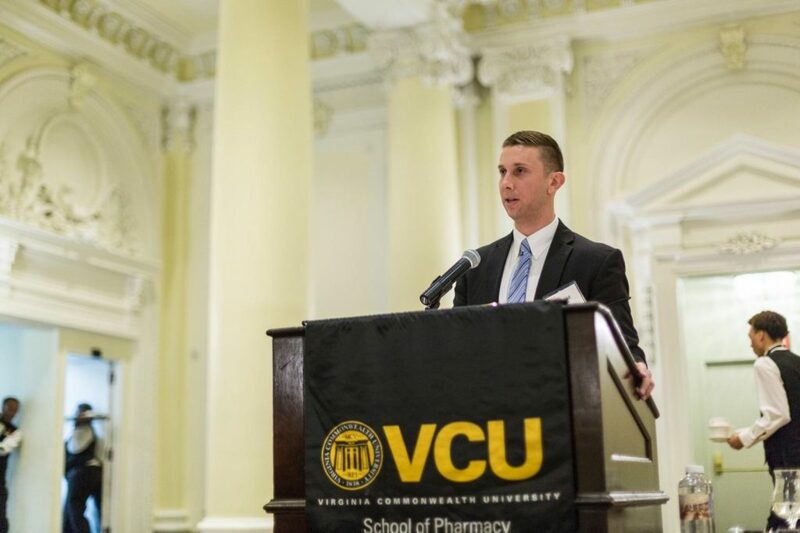 Activities during Patterson’s tenure at the School of Pharmacy have included being a member of the 2015 and 2016 award-winning VCU-ISPOR Student Research Competition team, a member of Rho Chi and the Virginia Academy of Student Pharmacists, and editor of the student newsletter, The Capsule. 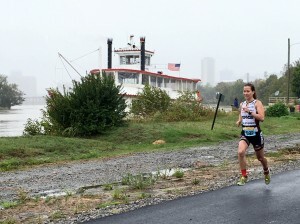 She also is a professional-level triathlete who last year combined her knowledge of medications and athletics to publish an article, “Are Antidepressants Performance-Enhancing Drugs?”, on the TRS Triathlon site. She is the women’s 10K record holder at University of Richmond and in 2012 was on the three-woman team that won Team USA its first-ever women’s gold medal at the FISU World University Triathlon Championships in Taiwan. Joining Patterson as 2016 Express Scripts Scholars are a Pharm.D./Ph.D. student at the Ernest Mario School of Pharmacy at Rutgers University and Pharm.D./M.S. candidates at the McWhorter School of Pharmacy at Samford University and the University of Iowa College of Pharmacy.